Shaun Sottile was impressive to start the summer 1988 season for the collegiate league team Schenectady, according to The Schenectady Gazette. He threw complete games in each of his first three starts. He turned in a combined 0.67 ERA to lead the league, The Gazette wrote. In his third outing, he scattered five hits over the second half of a double header. With performances like those, the pitcher who regularly threw for Siena College caught the eye of a scout for the Braves and he turned pro. His pro career, though, was brief. It lasted just three seasons. He never made it to AA. Sottile's career began in 1989, signed by the Braves as an undrafted free agent out of Siena. He went to Siena out of Pittsfield, Mass. At Siena in April 1989, Sottile threw a five-hitter, but took the loss. Earlier, in April 1987, Sottile picked up a win giving up six hits. With the Braves, Sottile started at rookie Pulaski. In 21 outings, four starts, Sottile had a 2.57 ERA and picked up four saves. 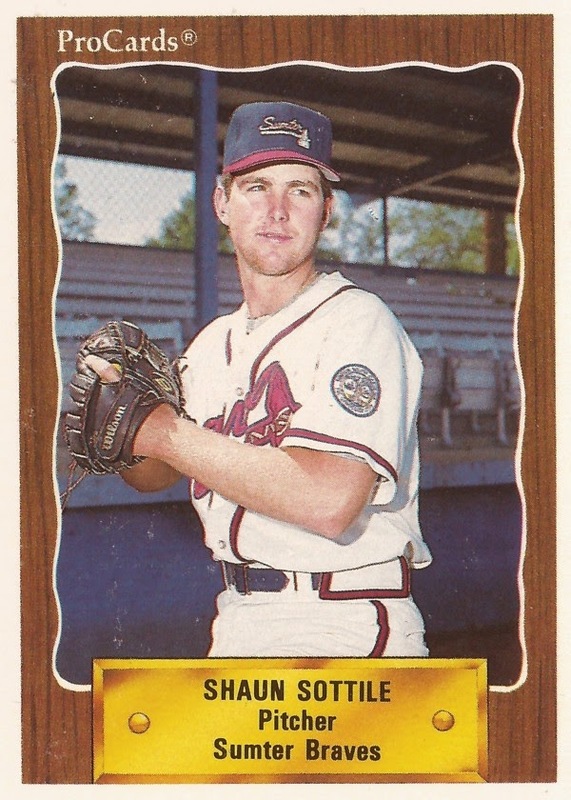 At single-A Sumter in 1990, Sottile got into 40 games, starting four. He also saved four, getting his second in an April game. He later got a win in a June game, going 2.2 innings and giving up just one hit. Overall, he went 8-7, with a 2.49 ERA. Sottile returned to single-A for 1991 at Durham, but his stay was brief. He got into just six games in relief, posting a 6.75 ERA. It was his final season as a pro.